Galactic Cafe have released something quite unique in the form of The Stanley Parable. The Stanley Parable follows the life of, strangely enough, a character called Stanley whose life revolves around working in an office performing tasks in a robotic manner alongside his similarly robotic colleagues. This is where the game begins, attempting to make you think about decision making and offering many, many different points at which you get to make the decision and sway the overall ending of the game in an exploration of his workplace uncovering the secrets it has to offer. This is what makes The Stanley Parable so refreshing, normally in a game you would be offered a point at which you can make a decision and in most cases these alter the game ever so slightly that you notice, but not enough to really have any major impact on the way the game plays out. 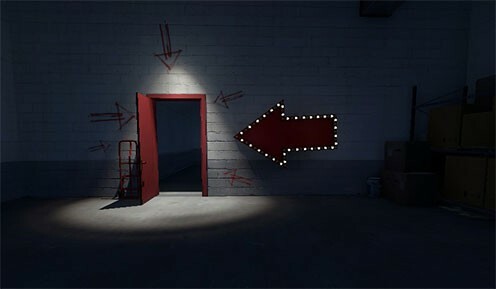 The Stanley Parable takes that stereotype in game decision making and throws it out the window; every decision you make will alter at least the way the game is played and in most cases will offer you a different ending for your disobedience of the brilliant narration by Kevan Brighting throughout. Each playthrough of the game gave me a completely different ending as I tried different combinations of these decision making points. Though my first playthrough must have only lasted about 15-20 minutes and was a rather strange ending, I persevered and it was only after a few playthroughs that the true brilliance of the game really shines through and can be appreciated. 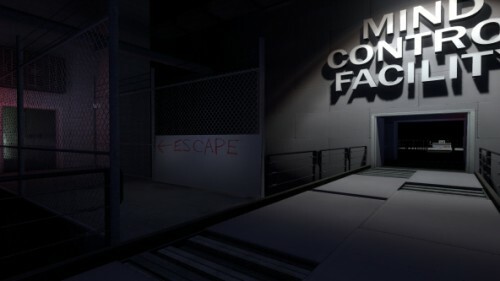 Graphically, The Stanley parable won’t be breaking any boundaries in the gaming market, though it offered an interesting art style between cell shaded and realism which paid off when graphical settings were maxed out, which provided a much smoother and aesthetically pleasing experience. The art style of the game mixes perfectly with the idea of the game and the humorous nature of the narrator all coming together to provide a thought provoking, comedy experience which needs to be experienced. 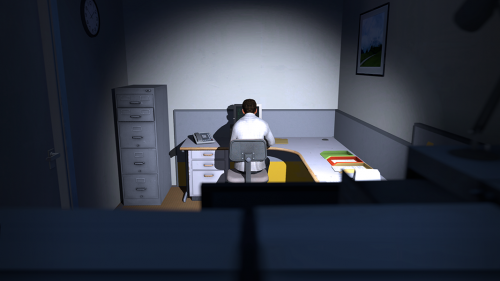 The Stanley Parable is a difficult game to review for a number of reasons. First there are so many different ways to play the game and each time a different series of events and ending occurs, but the quality and enjoyment of the game hinges completely on how many times you want to play through the game, how many of the different options you want to discover, and that you’re not afraid to let the game take you on its many odd adventures. 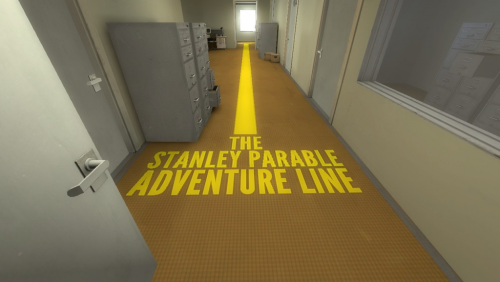 For example in one of the playthroughs my character had been stood in an elevator for what was reaching a good two minutes, but that summarises the genius of the game, it never became irritating, and it paid off, The Stanley Parable is completely off the wall and isn’t afraid of having this characteristic at its core. This particularly shines through in the narrator, who I have mentioned a few times already. In many games, a narrating voice isn’t a necessarily crucial aspect of the game that would be praised by the players. The Stanley Parable once again breaks the gaming trend with its narration throughout by providing a humorous narrator with many parallels to GLaDOS from the Portal games. Not only this, but he does play a rather important part in the game as he becomes your guide, attempting to get you back on track each time you stray from this initial path set out for you. By trying to get you back on track he’ll slowly guide you on a bumbling path to one of the other endings, but never in such a way that becomes frustrating. This is easily one of the standout aspects of the game and must be praised for its script writing and the wry delivery by Kevan Brighting. During my time with the game I could only find one slight gripe which took me out of the experience and detracted from the overall enjoyment of the game. On my first playthrough in particular and then very occasionally from then on the game seemed to freeze up, normally I would put this down to the PC not being powerful enough to run the game, however the PC in question clocks way over the recommended system requirements for the game and has yet to struggle playing any other game on high/ ultra settings. This made me wonder if the game was a bit buggy or just a result of indie development which, ultimately can be forgiven when the rest of the game is so well polished and delivered. I’ve played The Stanley Parable for about 2 or 3 hours now and must have covered most of the endings and different playthroughs that are available in the game and I still want to go back to make sure that I haven’t missed anything. At £9.99 on Steam, the price is easily justified if you’re looking for an experience that is not replicated by anything else on the market. Yes Dear Esther and Gone Home provide playable storytelling, but The Stanley Parable does this and offers you over 15 endings and a variety of combinations of decisions that make each playthrough feel a joy to play. If you’re looking for a thought provoking, humorous indie game with numerous ways to play and enjoy the game, The Stanley Parable is easily worth experiencing. This entry was posted in Uncategorized and tagged Dear Esther, Galactic Cafe, Glados, Gone Home, PC, Portal, Steam, The Stanley Parable, Video Games. Bookmark the permalink.